Windows 8 Consumer Preview Setup will check to see if your PC can run Windows 8 Consumer Preview and select the right download. Setup also features a compatibility report and upgrade assistance. Built-in tools for creating an ISO or bootable flash drive are available for some previous versions of Windows (excluding Windows XP and earlier). Metro style – Windows 8 introduces a new Metro style interface built for touch, which shows information important to you, embodies simplicity and gives you control. The Metro style UI is equally at home with a mouse and keyboard as well. 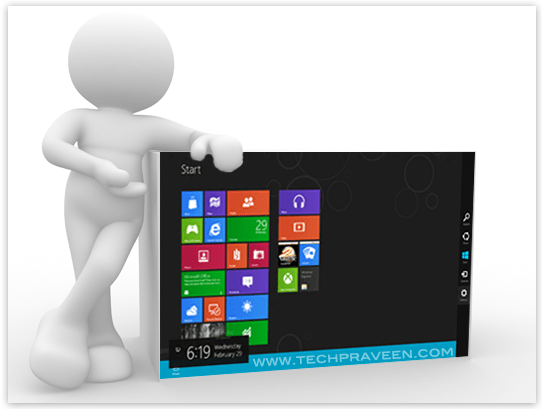 Touch-first browsing, not just browsing on a touch device – Providing a fast and fluid touch-browsing experience, Internet Explorer 10 puts sites at the center on new Windows 8 devices. Powered by apps – Metro style apps built for Windows 8 are the focal point of your experience, filling your entire screen so there are no distractions. Apps can work together – Apps communicate with each other in Windows 8. For example, you can easily select and email photos from different places, such as Facebook, Flickr or on your hard drive. Your experience syncs across your devices – Live roams all the content from the cloud services you use most — photos, email, calendar and contacts — keeping them up-to-date on your devices. With SkyDrive, you can access your files, photos and documents from virtually anywhere with any browser or with Metro style apps in Windows 8. The best of Windows 7, only better – Windows 8 is built on the rock-solid foundation of Windows 7, delivering improvements in performance, security, privacy and system reliability. Windows 8 reduces the memory footprint needed – even on the lowest-end hardware – leaving more room for your apps. Preserving power-user favorites and making them better – For those who push the limits of their PC, Windows 8 features an enhanced Task Manager and Windows Explorer and new, flexible options for multimonitor setups. Windows Store – The Windows Store will allow developers to sell their apps anywhere Windows is sold worldwide, whether they’re creating new games or familiar productivity tools. Build using more languages – Windows 8 lets you leverage your existing skills and code assets to create great experiences using the programming language you prefer. Rich hardware integration leads to richer experiences, particularly for games – DirectX 11 gaming power underlies Windows 8, allowing the easy creation of full-screen games with smooth, flicker-free action. Thanks for the review! I’m still using Windows 7 OS. But I preferably switch to Windows 8. I’m impressed with the new features of its operating system. Nice review! I been using windows 7 and i’m so excited to see what windows 8 can offer us. Thanks for sharing this to us. Hello Praveen, I’m using Windows 7 which I’m really happy with but it does seem to suffer from performance issues with the machine I have it on. So it’s interesting to see in your review that Windows 8 is described as “The best of Windows 7, only better” and that it reduces the memory footprint needed, even on lower end machines. Usually an operating system upgrade requires a hardware upgrade which adds to the cost, so Microsoft has definately got my approval with this new approach so I’m going to give it a go. Hi Praveen, I am currently using Ubuntu now but as far as I had known Windows 8 is really good. Thanks for the review. Ubuntu is cool 🙂 I love using Linux and Mac.